Two weeks ago, when most of my teaching colleagues were finishing up the school year, I was busy being a grad sponsor and helping the latest group of graduates pull off a memorable and safe grad weekend complete with a family banquet, a prom, official ceremonies and a dry grad celebration to finish things off. It was my last year as a grad sponsor, and one that I’m proud of. 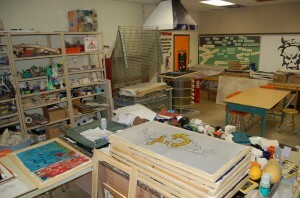 One week ago when most of my teaching colleagues were enjoying the start of summer holidays, I was cleaning up the art room and preparing the space for my successor. I also met with my new admin to discuss my new job and moved resources into my new classroom for set up at the end of August. And today, after almost two weeks of extra work (brought on, I might add, entirely by me), I’m starting my summer holidays! I refuse to work for at least a week. I do have the last year of my Masters to prepare for and an intimidating amount of planning to get organized for my intermediate students in September, but for the next week I am on holidays! I refuse, just for a short time, to do any ‘work’. Instead, I am going to visit with friends, clean up my house, relax, read, exercise, sleep and spend precious time with family. 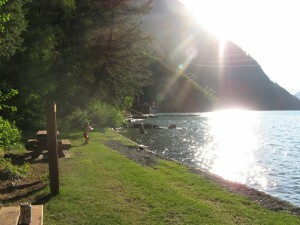 This entry was posted in MEd, Reflection by egregory. Bookmark the permalink. The top two photos in your post aren’t showing up for me (using Google Chrome and Firefox on a Mac). Where is your last shot taken–it looks beautiful! I hope you’re having a wonderful summer! All the best to you and yours this holiday! I’m hoping I take more than a week off too, but I also know how much work I have ahead of me and I’d like to spread it out if I can! Thanks for letting me know about my glitchy photos – I’ve had this problem with recent posts. I hope it’s fixed now! The photos are now showing up great. The grad backdrop looks fantastic! Congratulations on the end of the year, and your move, Errin! 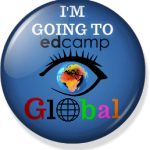 It is always illuminating to travel outside of your comfort zone, and spread your teaching to as many different grades and levels as you can. I’m looking forward to some potential English & socials (or even more outside-the-lines) collaborations in the new year, too! @ Claire – Thank goodness! 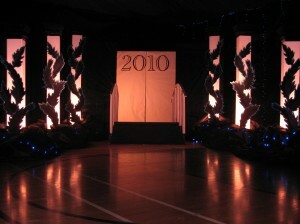 And yes, that photo was of the grad entryway for prom. It made for some fantastic photos of everyone looking their absolute best! @Bryan – Thanks for the comment! I absolutely agree about your thoughts on moving beyond one’s comfort zone; I think it’s vital in preventing stagnation in all areas of life. I’m completely open to trying out collaboration with all the tech that will be available. I’m hoping to not only open up my classroom to other communities in district, but to others farther afield too!